Northland Foundation focuses on the people of northeast Minnesota. It fuels local business development and seeks creative ways to improve the experience of growing up and growing older in Northeastern Minnesota. Assisted northeastern Minnesota community and economic development organization to grow its Business Finance Program, as well as refinance debt with less expensive capital. The loan is on track for success. Since closing with McKnight, Northland’s Business Finance Program has grown its lending capacity to build business, create family-sustaining jobs, and strengthen its regional economy. Also, the refinanced debt has allowed Northland Foundation to redirect $144,000 each year from interest payments to its assisted living venture, Northland Village. A simple, well-timed infusion of philanthropic capital can have enormous community benefit. At times, impact investments should strive for simplicity and speed in execution. 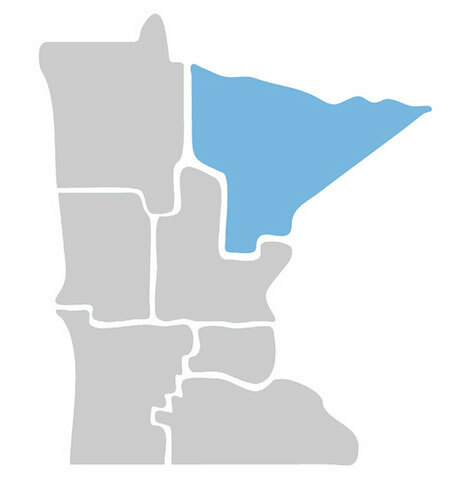 Serving the seven-county area of northeastern Minnesota, the Northland Foundation is one of the six Minnesota Initiative Foundations established by McKnight in 1986. Northland invests in people and communities to support a thriving northeastern Minnesota. Disclaimer of Endorsement: The McKnight Foundation does not endorse or recommend any commercial products, processes, or service providers.